India has voiced concern over the lack of genuine political will in ensuring adequate funding for UN peacebuilding, saying funds available for such efforts are not even one percent of the annual peacekeeping budget. India has voiced concern over the lack of genuine political will in ensuring adequate funding for UN peacebuilding, saying funds available for such efforts are not even one per cent of the annual peacekeeping budget. India is the largest cumulative troop contributor to UN peacekeeping operations, having provided almost 200,000 troops in nearly 50 of the 71 peacekeeping missions mandated over the past six decades, including 13 of the current 16 missions. 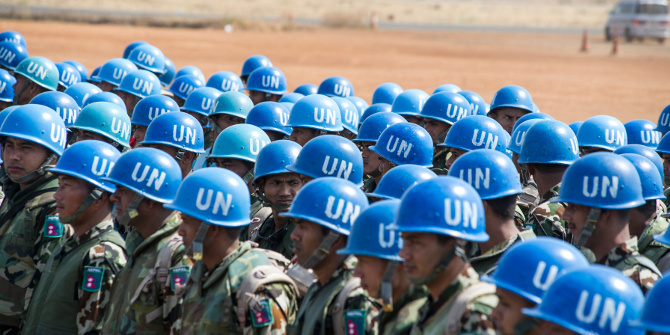 As on March 31 last year, the UN owed a total of USD 777 million to member states for peacekeeping operations. The UN had to pay a total of USD 55 million to India for its contribution to the world body’s peacekeeping operations, the second highest outstanding payment to any member country. UN General Assembly President Miroslav Lajcak last month lauded India’s contribution and “commitment” to UN peacekeeping operations. Sandeep Kumar Bayyapu, First Secretary in India’s Permanent Mission to the UN said here yesterday: “Building peace and prosperity for all remains a major objective for the international community. “Despite the growing attention, the concept of peacebuilding that expanded the focus to post conflict situations and led to the establishment of UN’s peacebuilding architecture around a decade ago continues to struggle due to lack of adequate funding that betrays a lack of genuine political will”. The Peacebuilding Fund (PBF) during last year supported projects in 31 countries including the six country-specific configurations that were on the agenda of the Peacebuilding Commission, he said. “While the high donor contributions to the Fund in 2017 were a clear sign of confidence in UN peacebuilding activities, the funds available for peacebuilding efforts are not even one per cent of the annual budget for UN Peacekeeping,” Kumar said at the General Assembly debate on report of the Secretary-General on Peacebuilding and Sustaining Peace. Bayyapu said India welcomes the specific financing options presented by the Secretary General in his report for peacebuilding efforts and these need to be given serious consideration in order to address the current levels of funding that remain very inadequate. He said that more than one-third of the funds were allocated to support gender equality and women’s empowerment during 2017. The contribution of the Fund to UN’s efforts in designing and implementing peacebuilding programmes that prioritise the inclusion, participation and leadership of young people, cross-border efforts of the Fund, as also its partnership with regional organisations and other multilateral funds are positive steps. Given that the concept of sustaining peace requires engagement of all pillars of the UN, efforts of the Secretary General to strengthen operational and policy coherence and improved capacity across the UN system need to be supported, he said. Given that the concept of sustaining peace requires engagement of all pillars of the UN, efforts of the Secretary General to strengthen operational and policy coherence and improved capacity across the UN system need to be supported, he added.